When a clay flue liner cracks or fails, smoke, carbon monoxide, creosote, and other products of combustion can seep through your chimney and leak into your home, which presents a hazard to your home’s occupants. Damaged or improperly constructed chimneys can also let water into the interior of a home, which over time can create water damage to the walls and framing of the house. In the worst case scenario, a damaged chimney can even cause a chimney fire or even a house fire. The National Fire Prevention Association (NFPA) code 211 says that cracked or damaged chimney flue tiles should be repaired. This can be expensive, as it involves destroying and replacing part or all of the chimney. Patching the cracks is a temporary solution, since the problem will invariably present itself again, in most cases sooner rather than later. Chimney relining, when done properly, offers a safe, inexpensive, and long term solution, and complies with all NFPA standards as well as CT and RI building codes. A properly installed chimney liner makes the chimney air tight and water tight, and costs much less than a full chimney rebuild. All of our chimney liners come with a lifetime warranty. We use only the highest quality materials in all of our chimney relining work. We are authorized distributors and installers of the All American Chimney Liner. Each All American Chimney Liner are made with 316Ti Titanium Reinforced Stainless Steel and offers unparalleled performance. 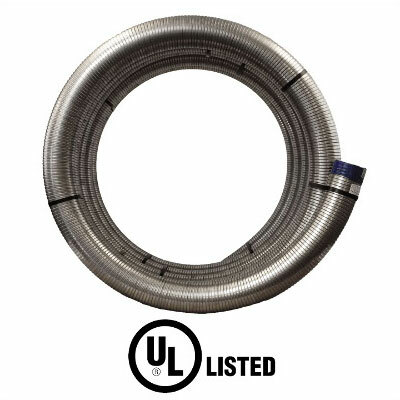 The All American Chimney Liner is UL Listed and comes with a lifetime warranty from the manufacturer. Read more about the All American Chimney Liner here or call Chimney Champs today for a free quote. All Chimney Liners are standard in Inside Diameter (ID) Dimensions. Example: 6″ ID is 6 1/4″ OD. For the Outside Diameter (OD) Dimensions add 1/4″ e.g. 6″ ID is 6 1/4″ OD. Larger diameter liners (13″-18″) are made to order. Our HeavyWall stainless steel chimney liners can be Ovalized or Rectanglized. All Chimney Liners are standard in Inside Diameter (ID) Dimensions. Example: 6″ ID is 6 1/4″ OD. Available Per Foot. 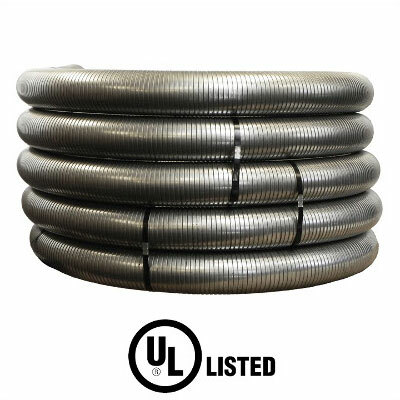 Larger diameter chimney liners (13″-18″) are made to order. Due to the nature of the SmoothWall manufacturing process, it is not recomended to Ovalize or Rectanglize SmoothWall Liner. The smooth interior of Smoothwall chimney liner eliminates the 20% drag factor used in calculations. Most commonly used with oil & gas appliances. Larger diameter liners (13″-18″) chimney liners are made to order, so whatever length you need we can do a custom order for your project! 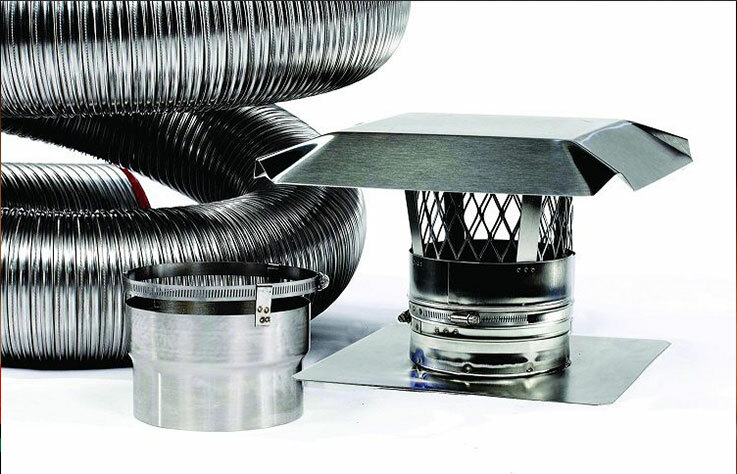 Our CrossOver stainless steel chimney liners can be Ovalized or Rectanglized. hode Island & Connecticut’s #1Chimney RelinersChimney Champs is the leading chimney relining service in Connecticut and Rhode Island. Chimney Champs is an authorized distributor of the All American Chimney Liner, the best chimney liner in the world, period. 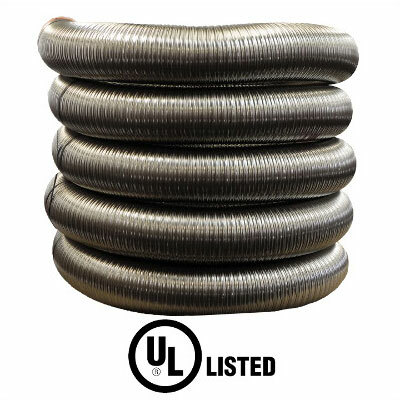 The All American Chimney Liner is made with 316Ti Stainless Steel, is UL Listed, and comes with a lifetime warranty from the manufacturer. Call Chimney Champs today for pricing on chimney liners and chimney relining.